Dr. Gianrico Farrugia gives the opening keynote address at the Individualizing Medicine Conference 2015 before a packed house. “Our job is to deliver individualized medicine to the bedside of all our patients.” said Keith Stewart, M.B., Ch.B., to launch the fourth annual Individualizing Medicine Conference: From Promise to Practice in Rochester, Minn., home of Mayo Clinic. “And this is the year of precision medicine, launched by President Obama in January in announcing the NIH Precision Medicine Initiative,” added Dr. Stewart, the Carlson and Nelson Endowed Director of the Mayo Clinic Center for Individualized Medicine. For four days, from September 20–23, 2015, members of the public, clinicians, researchers, genetic counselors, and the genomics industry shared their experiences with individualized medicine — also known as precision medicine — and how it is being transitioned from the laboratory to the bedside of the patient. Precision medicine is no longer an alphabet soup of genetic code limited to the biomedical research community. It is now being used every day to improve patient care, to diagnose rare diseases, and to provide hope in the fight against some of the most difficult diseases. “In 20 years everyone will have opportunity to have their genome sequence,” he said. 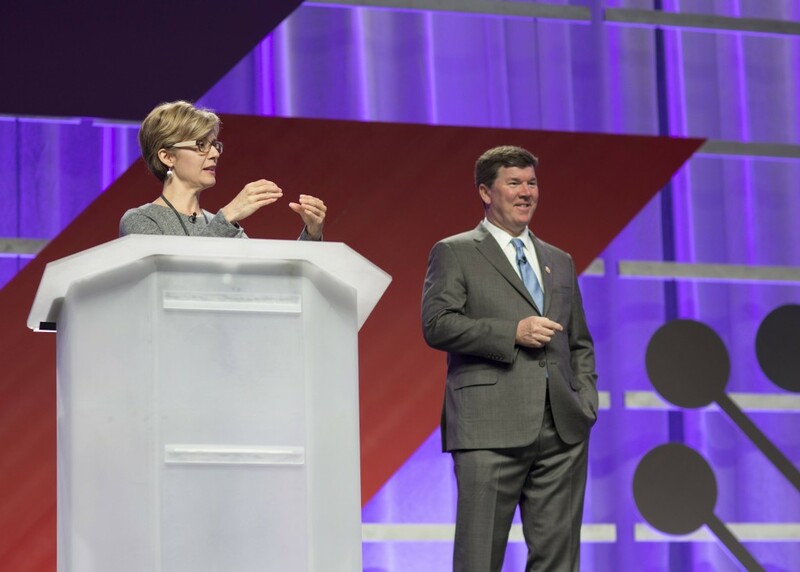 The excitement was palpable when Dr. Stewart took the stage with conference moderator Cathy Wurzer, the host of Morning Edition for Minnesota Public Radio News, to establish a vision for the conference and for the future of individualized medicine. 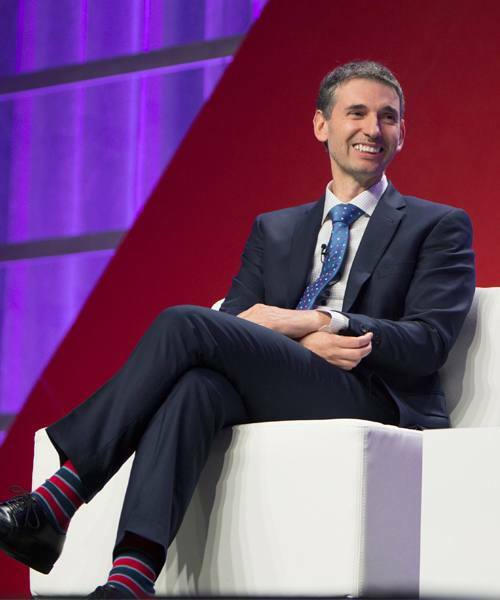 Dr. Gianrico Farrugia and his "conference best" socks. From Yale Cancer Center, Patricia LoRusso, D.O., a leading expert on drug development through clinical trials, brought over 25 years of expertise in medical oncology, drug development, and early phase clinical trial to her talk on the changing landscape of drug development in oncology. “We have developed phenomenal tools,” Dr. LoRusso said. “But they’re still in their infancy. Only 3 to 5 percent of profiled cancer patients get a matched drug. Fewer than 2 percent were enrolled in clinical trials in 2012. We have to do better for our patients. Stephen Friend, M.D., Ph.D., wrapped up the plenary session of the first day by asking the audience to rethink the paradigm for genomic research. From his Seattle-based Sage Bionetwork, he is reimagining the roles of individuals, researchers and technology in the research process. Stanford University professor Stephen Quake, Ph.D., opened day two of the plenary session discussing what he calls “The Molecular Stethoscope.” Dr. Quake is applying his work in non-invasive prenatal testing for genetic birth defects to heart and lung transplant patients. And FDA regulations for genomic testing need to be modernized. Dr. Liu also called for the field to develop and train experts who can interpret a patient’s genome test—like medicine did when it trained radiologist to interpret images. 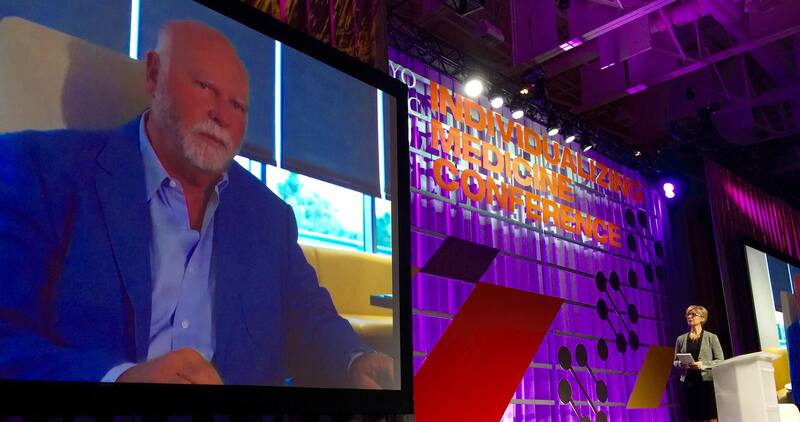 The conference plenary session was brought to a close by genomic pioneer and occasional contrarian J. Craig Venter, Ph.D., CEO and co-founder of Human Longevity, and the first human to have his whole genome sequenced. Dr. Venter didn’t disappoint. He announced his plans to offer clients whole exome sequencing for $250, “about the price of their monthly Comcast cable bill,” and outlined how Human Longevity is ramping up from currently offering 3,000 tests a month to 10,000 a month. Much like President Barack Obama’s Precision Medicine Initiative, Dr. Venter said he has plans to sequence one million genomes by 2020. The afternoon concurrent sessions focused on issue-specific topics in genomic research. Breakout sessions covered a range of subjects, from the role of individualized medicine in value-based care to the genomics of dementia. Other topics included bioethics, epigenomics, clinical RNA sequencing and gut microbiota. Intense discussions followed the presentation of detailed research in cancer treatment, whole exome sequencing, and the future of patients on a diagnostic odyssey. 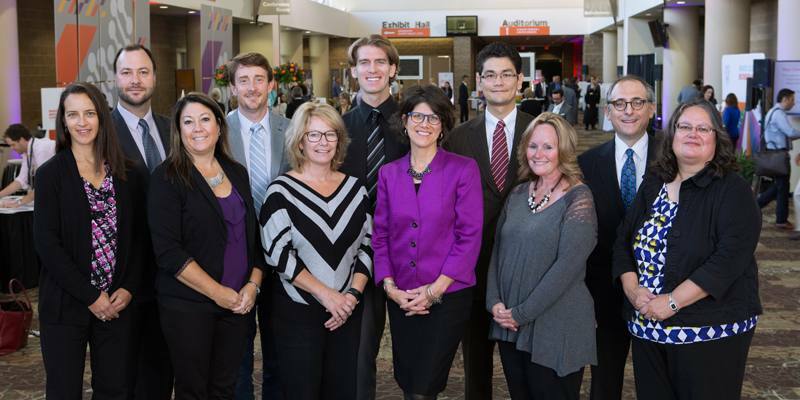 Industry representatives shared their ongoing research and latest initiatives. The final day of the conference featured focus sessions on a wide range of topics, including functional genetic strategies for clinical diagnosis and treatment, epigenomics, metabolomics, and pharmacogenomics. 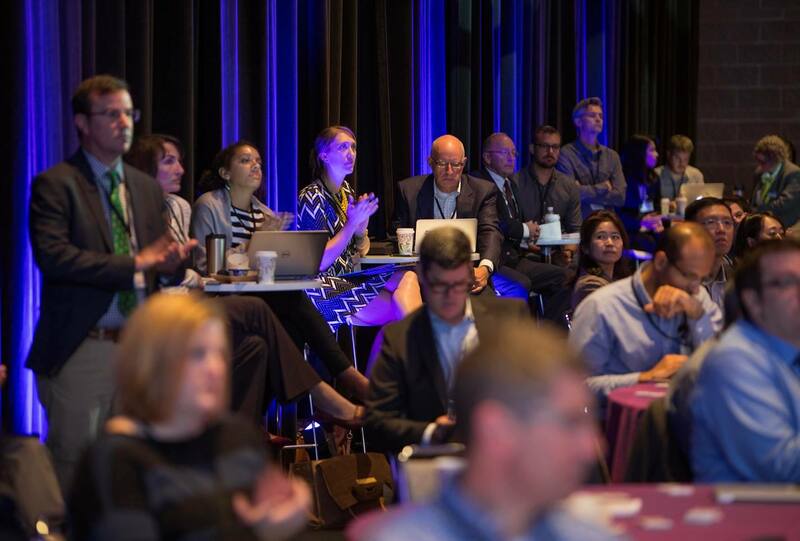 In all 125 experts from around the world came together to share their research in genomic medicine, voice their excitement and concerns, and encourage their peers and colleagues to push themselves further and faster to bring better treatment options to patients. The conference also featured an active social media campaign, an exhibitor’s hall, and a poster session. 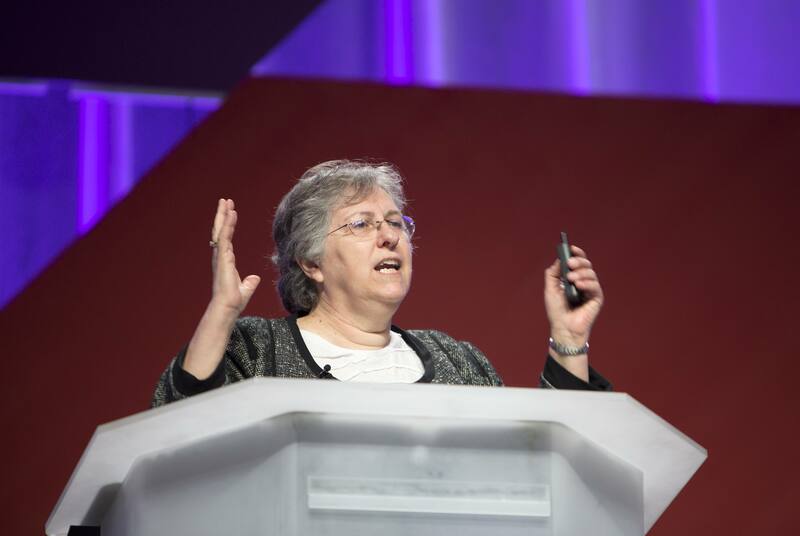 “It’s exciting to see a record number of healthcare professionals from around the globe who came to learn and to share about how precision medicine is making a difference for patients right now. Speaker videos from the Individualizing Medicine Conference 2015: From Promise to Practice will be appearing soon on the conference website. The Individualizing Medicine Conference 2016 is scheduled for October 5-7, 2016. You won’t want to miss it. After all, it is the time to transform medicine.